As your company grows in size, its costs will naturally increase to bring in the higher revenue they earn from a larger market share. Your costs will increase because you will need more resources to run your company. You will, for instance, need more people to share the increasing workload and better equipment to produce more goods at a faster rate. 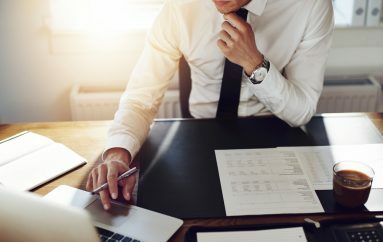 You will need to handle the rising costs of professionals like lawyers, PR firms for reputation management, marketing and advertising firms, etc. You will probably also need to upgrade your technological infrastructure to optimize a variety of business processes and to automate tedious work that applications perform better than human beings. However, not all your costs are justified. Some costs rise because things are done in an old way that worked when your company was smaller. These costs could be slashed by implementing a new, more efficient way of doing things. In essence, then you are dealing with a type of economic scope creep. You are paying for inefficiencies in your business processes. One department that is affected by the failure to implement cost-effective measures is payroll. If your business struggles with the growing cost and increasing complexity of using paper wage payments and paper statements, it’s time to change how you manage payroll. Essentially, you must switch from a paper-based payroll system to an electronic payroll system. This can be challenging if you don’t have the resources to implement many features of paperless pay such as pay cards and allowing employees a way to access online statements. However, that’s not the only problem. You may also have to manage change in a variety of departments because they have dissimilar requirements as well as provide services to employees who also have different payment needs. Since your Accounting department does not have the resources, knowledge, experience, and tools, how to transition from a paper-based system, your best course of action is to work with an outsourced payment solution provider. This course of action will help you leapfrog many of the challenges you will face doing everything on your own. Instead of struggling with figuring out how to make the transition from paper to electronic processing, find an electronic pay vendor who already has all the systems you need in place. What you consider a challenge is not an issue for them. They can easily integrate a payroll solution to work with your already existing in-house payroll system. The idea is not to reinvent the payroll system from scratch – analogous to scrapping a dilapidated building and replacing it with a skyscraper– but to integrate a new payroll system without interfering and disrupting what you currently have in place. Here are 3 things to look for in a vendor. An established business with plenty of experience transitioning paper-based systems into electronic payments. 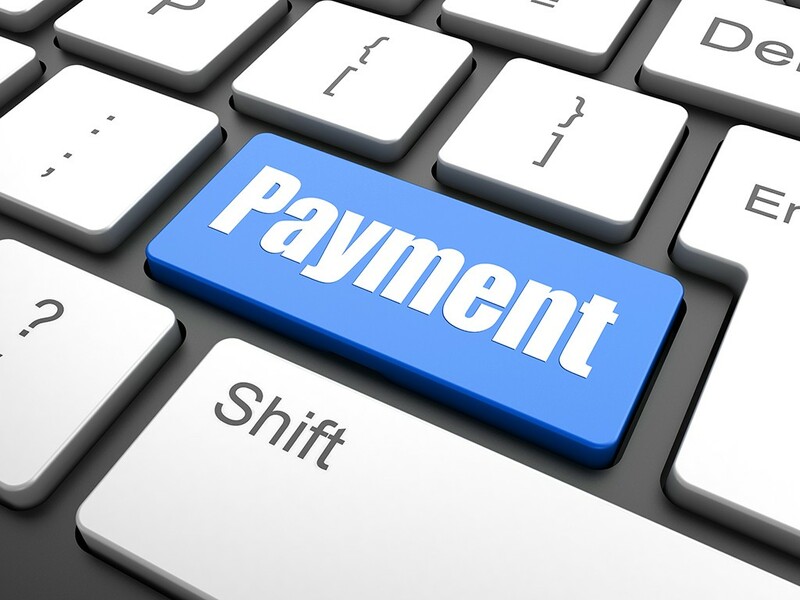 The ability to offer you payment options that suit your needs like issuing pay cards and providing online statements. A sophisticated cloud-based ERP system to make your payroll system easy to integrate through all your business departments. Once you find a vendor and make the transition from a legacy system to a 21st century solution, everyone will be happier. Your employees will be happier because they don’t have to stand in a bank line on their lunch breaks to cash their paychecks. Your accountants and bookkeepers will be happier because you have rescued them from the nightmare of a clunky process. And your board of directors will be happier because your company will have saved time and money and increased profits. 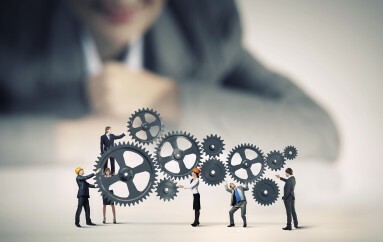 While it’s obvious that the accounting department will be more productive since they are now using the power of machines rather than brute force to run their operations, other departments, like Human Resources, Treasury, and IT, who are also involved in payroll will also free up time and reduce the complexity of their jobs. Implementing electronic pay will now make it possible for the departments concerned to manage multiple tasks. They will now have a single file solution and just work with one vendor for all payment methods. Besides making things much easier on your department heads, employees will be delighted by the flexible payroll disbursement options. Those who have a bank account can enjoy the convenience of direct deposit. Those who don’t have a bank account and had to use some third-party check cashing service for a fee will love the benefits of using an electronic pay card. These pay cards can be used for ATM transactions without a surcharge and tracked on their phones through a mobile app. It’s difficult to run a large business because there are many moving parts. Having an antiquated and inefficient paper-based payroll system gums up the works. It slows everything down, leading to overwork, wasted costs, and aggravation. By replacing your old system with an electronic payment system everyone wins. 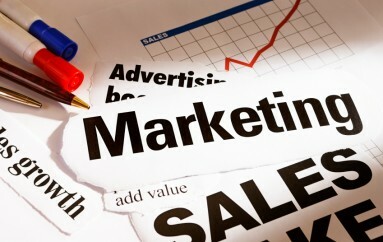 How Can A Field Marketing Agency Help My Business? Why Choose A Career In Finance?